Dr. Ramski and Staff have received training to implement conscious sedation dentistry to relax patients, creating a safe and comfortable dental experience. Conscious Oral Sedation is one of the newest methods of anxiety control in dentistry. Recent developments in pharmacology have given dentists oral drugs that produce a profound state of relaxation with a high degree of safety not possible just 10 years ago. Taken as a pill given in the office one hour prior to the start of dental treatment, this sedative technique is very well received by patients. Benefits include a short recovery time as compared to Intravenous Sedation and a least expensive form of dental sedation. If you have a fear of dentistry and would like to have a "Complimentary Consultation" with Dr. Ramski to discuss Sedation Dentistry, call the office at 407-905-9965. Dental Implants, the next best thing to your own tooth! Dr. Ramski and Staff have received training for the placement of Dental Implants. An implant looks and feels like a natural tooth. It fits securely when you chew and speak. A single tooth implant is a freestanding unit and does not involve treatment to the adjacent teeth. The implant can stabilize your bite and help prevent problems with the jaw (TMJ/TMD). If you would like to discuss Dental Implants with Dr. Ramski, please contact the office for a "Complimentary Consultation". 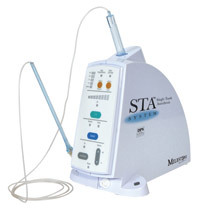 The "WAND" is a computer controlled local anesthesia delivery system. It gives PAINLESS local anesthetic injections! It is kinder, gentler and leaves the patient without the traditional facial and lip numbness with the "Wand". This computer-controlled soft tissue pressure feedback system provides localized tooth anesthesia. It is accomplished by slow drop-by-drop infiltration, increasing patient tolerance, reducing fear and anxiety, with less dental post-operative discomfort. For more information, call the office at 407-905-9965 or visit www.milesci.com. We are going mobile! Our mobile website has user friendly navigation and displays prominent click-to-call and click-to-map icons so you can find us instantly. APPOINTMENT REMINDERS, SPECIAL OFFERS AND MUCH MORE! BR Dental is excited to announce we are improving technology in our office again! Our office is implementing Practice MOJO! This system will e:mail you and/or send you text message reminders of appointments, past due reminders, special offers, newsletters, etc. The sky is the limit! We are always eager to hear feed back from you and know that we do not want to lose our personal touch with each of you. 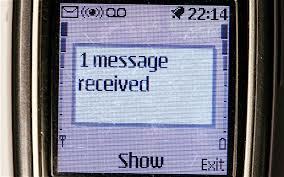 If you do not wish to receive reminders electronically, just let us know!